✅ Exclusive ✅ The Russian bombshell is making a comeback after over a year away from the sport - at the landmark event Bellator 200 in London, England. 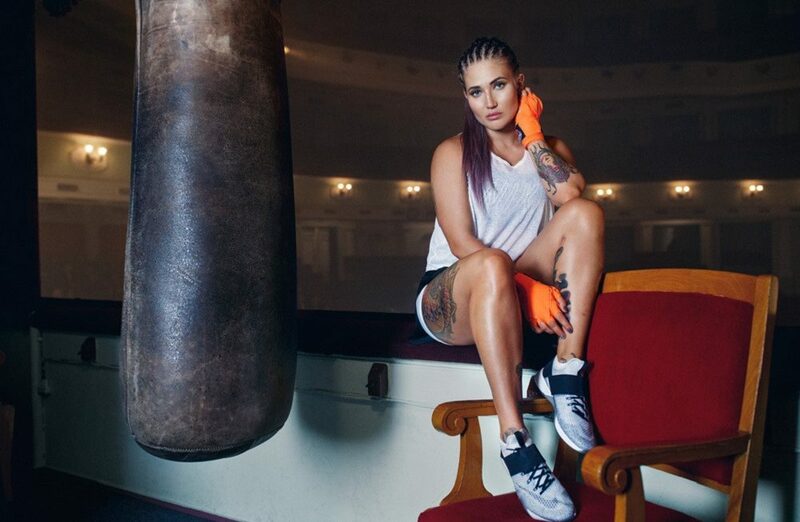 Anastasia Yankova is only 27 years old but has already accomplished alot in her life: A successful modelling career, Russian champion in Muay Thai and a lucrative sponsor deal with Nike. She has also been on the cover of the prestigeous magazine Vogue. After starting her MMA career with two wins by submission, she signed a contract with Bellator MMA and made her debut in 2016. Since then she is undefeated, winning three fights in the span of 3 months. In February MMAnytt travelled to Thailand to get an inside look at AKA Thailand – while Yankova was there preparing for her next fight, that at the time hadn’t been announced. We had a sitdown with Yankova an asked her about her career and thoughts about the UFC and Bellator flygweight champions and more. Yankova has had issues with her throat which have made her unable to compete. During her time off she has also made changes to her diet and training, because her last cut to 125 lbs was especially hard. Her problems stems from weight cutting as an amateur, resulting in thyroid problems, common in female athletes. “I had some problems with my throat and thyroid gland, thats why I didn’t fight. I needed to fix my weight and feel good where I’m at now.” Yankova said to MMAnytt. Like most MMA fighrers, Yankova’s ultimate goal is the title. In Bellator the flyweight champion is named Ilma-Lei Macfarlane (7-0, 5 finishes). In her last fight she defeated Emily Ducote by armbar in the 5th round at Bellator 186: Bader vs. Vasell, last november. Who has the belt doesn’t matter to Yankova though, her only goal is to be Bellator Flyweight World Champion. The UFC flyweight champion, Nicco Montaño, has a record of 4-2 and is the least experienced UFC champion. She has had some fight in The Ultimate Fighter house and winning that show gives a much needed injection of experience. Yankova doesn’t put much stock into her record – it’s just one small piece of what makes a fighter great. “I don’t think that the record is very telling about a fighter. Sometimes fighters with less experience put on very interesting fights. So I don’t think it really matters” Yankova said. As a Flyweight it was hard to miss former bantamweight championship challenger Valentina “Bullet” Shevchenko making her Flyweight debut and utterly dominating her Brazilian opponent, winning via choke in the 2nd round. Yankova is an experienced Muay Thai fighter and was always a weight class below Shevchenko when they both competed, often at the same events. 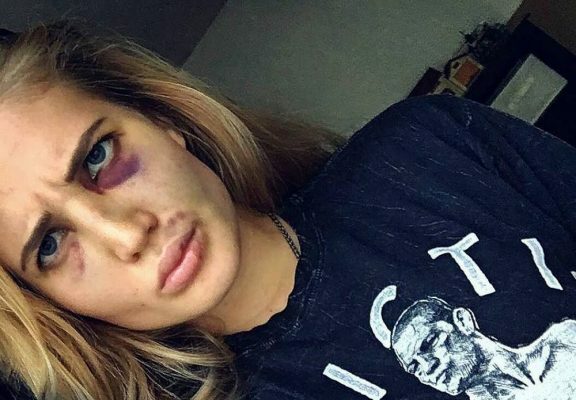 Yankova is happy to see that fighters like Shevchenko show that women’s technique are catching up with the men. “I saw a couple of clips from the fight, it was a tough fight for her opponent” Yankova said. “Now she is showing a really good ground game and she has perfect MMA skills, love to watch her fight because she is so high level. “I would like to train with her here at AKA, because I heard from my Russian friend Natalia Diachkova, that Valentina is a super nice person.” she continued. In mid-March it was made official that Yankova makes her comeback at Bellators tentpole event Bellator 200 in London, England on May 25. Yankova is facing The Ultimate Fighter veteran Kate Jackson with a record of 9-3-1. She was on The Ultimate Fighter Season 23: Team Joanna vs. Team Claudia and won her first two fights in the tournament against Irene Cabello and Ashley Yoder. She eventually lost to season winner Tatiana Suarez. “Yes, she has a good record and a well known name – which is good for me. But I don’t care, as I said before every girl I face is just one step closer to the title – my ultimate goal” Yankova said about her opponent. 412 days will have passed since Yankova last appeared in the cage, when she steps in to fight Jackson at Bellator 200. She has been actively training at AKA Thailand where she has had great help from the likes of Mike Swick, Marcio “Gracinha” Cesar and pad holder extraordinaire Dillon Croushorn. At the same event Middleweight Champion Rafael Carvalho defends his title against UFC, DREAM and Strikeforce veteran Gegard Mousasi. The fight card is full of high caliber names and matchups such as Mirko Cro Cop vs. Roy Nelson, Phil Davis vs. Linton Vassell and Michael “Venom” Page makes his long awaited comeback after a detour in the squared circle.